(Oklahoma City, Oklahoma, September 26, 2018) — Mothers in jail are being torn from their families and losing contact with their children even before they have been convicted of a crime, Human Rights Watch and the American Civil Liberties Union said in a joint report released today. The 137-page report, “You Miss So Much When You’re Gone”: The Lasting Harm of Jailing Mothers Before Trial in Oklahoma,” finds that jailing mothers even for short periods of time can result in overwhelming debt and loss of child custody. 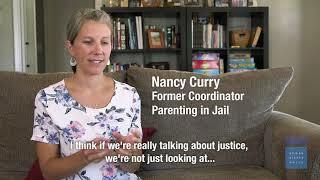 Based on more than 160 interviews with jailed and formerly jailed mothers, substitute caregivers, children, attorneys, service providers, child welfare employees, and advocates, this joint report by Human Rights Watch and the American Civil Liberties Union (ACLU) documents the harms experienced by women with minor children jailed pretrial in Oklahoma – which incarcerates more women per capita than any other state.